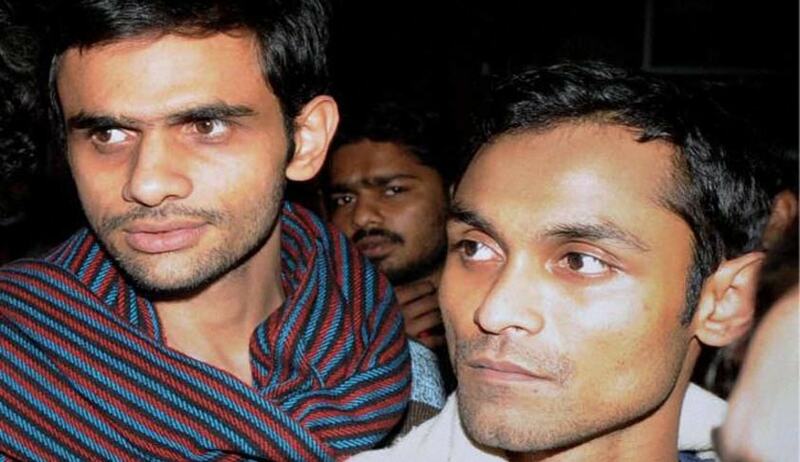 The Patiala House Court today reserved till March 18th, its order on the bail plea of Jawaharlal Nehru University students Umar Khalid and Anirban Bhattacharya, who have been in judicial custody since February 23, on charges of sedition. The prosecution submitted before the Court that Mr. Khalid and Mr. Bhattacharya were the two main organizers of the event discussing hanging of Parliament attack convict Afzal Guru, instead of JNU Student Union President Kanhaiya Kumar. They submitted that the two had sought permission from the University authorities, and had finalized and printed the posters as well. They claimed that 10 eye witnesses unaffiliated to any political party or group have confirmed their role in the entire incident. The Defence Council submitted that Mr. Khalid was a PHD student and has only six months to complete his dissertation. The Court was assured that they would be cooperating with the investigators. They further argued that criticism of the Government cannot be termed as sedition. In their support, they cited the report issued by the Government of Delhi, which had stated that the videos showing students raising “anti-national” slogans have been doctored. The Counsel emphasized on the fact that the students surrendered voluntarily. The two submitted that they went into hiding because of the way Kumar was assaulted on the court premises and the media frenzy around the case. The counsel reportedly added that the “perception in media and society is that Umar and Anirban did something wrong but that is matter of opinion not of law”. Meanwhile, a high level investigation panel of the University has found Mr. Khalid and Mr. Bhattacharya guilty of arousing “communal, caste or regional feeling or creating disharmony among students”. In its unanimous report submitted to Vice Chancellor M. Jagadesh Kumar, the panel has found 21 students guilty for violation of university norms and disciplinary rules. The committee has claimed that the event was held without permission from the University administration. It has reportedly recommended rustication of Kanhaiya, Umar, Anirban and two other students for their alleged role in the event. A show cause notice has been sent to them. In a related development, Delhi Police’s Anti-terror unit, the Special Cell also visited JNU campus to seize laptops and mobile phone of two students. “We had officially approached the university administration last week and informed it that we would be needing laptops and mobile phones of Umar and Anirban. When we had asked the duo about the same during interrogation they had told us that their laptops were in their respective rooms. Hence it was imperative to take the administration on board as the said items are required for the ongoing investigation,” a senior police official of the special cell was quoted as saying.